Whoa, I don't even know where to start, I am still taking in all that I experienced at Relay Summit, California. Let me start by telling you a little bit about the history of Relay for Life. It's the American Cancer Society's largest fundraising event, and it all started in 1985 in Tacoma, Washington. Dr. Gordy Klatt, a Tacoma colorectal surgeon wanted to raise money for his local chapter of American Cancer Society. He decided to do it by running a 24 hour marathon around a high school track. Dr. Klatt's friends, family and patients all showed up to support him, almost 300 of them, and watched as he ran and they pledged dollars to support him. That first year he raised $27,000. The next year, he got the whole community involved - 19 teams ran, and they raised $33,000. 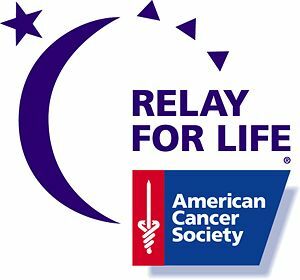 Fast forward 26 years later, and Relay for Life is the American Cancer Society's top fundraising event, taking place in cities all over our country, and is now even international. As some of you know, I participating in my very first Relay last summer, and walked the Survivor's lap while still in chemo. This year, I was the speaker at the Luminary Ceremony. 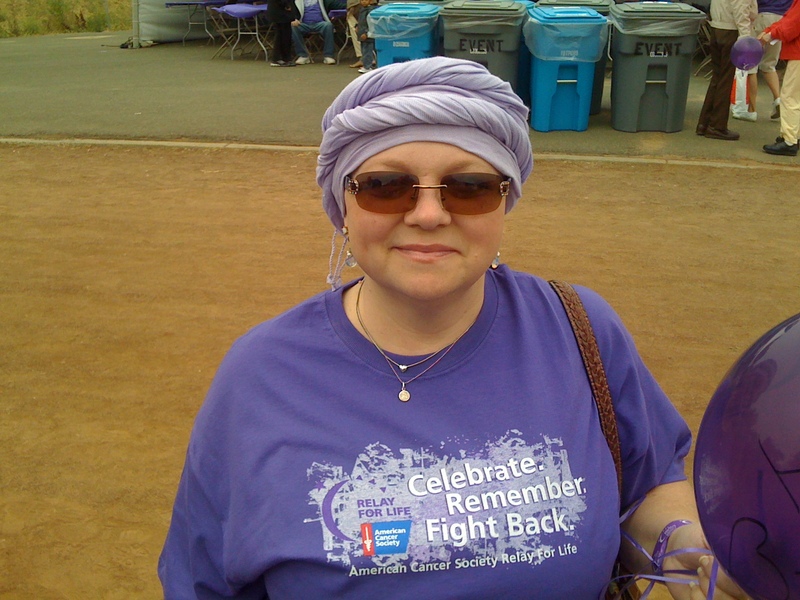 Here's a link if you'd like to listen to my Luminary speech at the Vallejo Relay, 2011. I was asked to participate in RELAY SUMMIT, CALIFORNIA, which is a kickoff convention for Relay Teams, for next year's Relay. It took place at the Hyatt in Garden Grove, right down the street from Disneyland. I was there as one of thirty "Heroes of Hope" and we received our "hero" training this weekend, and participated in the general sessions at the conference. Here's the link to the 2012 Heroes of Hope, including me! Wheeeeeeeeee!!!! Whoa, when they tell you RELAY SUMMIT is life changing, they ain't kidding! There is nothing like being in a Grand Ballroom with almost 1,000 people from all over California, all fired up about RELAY. We had incredible guest speakers, and then broke out into workshops, which for us "heroes" was some great training on public speaking. This is from the RELAY FOR LIFE web page, and is a great explanation about RELAY today. What is Relay For Life Today? What Happens at Relay For Life Events? Relay starts with a Survivors Lap – a inspirational time when survivors are invited to circle the track together and help everyone celebrate the victories we’ve achieved over cancer. The Survivors Lap is an emotional example of how Relay participants are ensuring that more lives are saved each year – like those of each individual on the track. We also recognize and celebrate caregivers at Relay For Life. These individuals give their time, love, and support to friends, family, neighbors, and coworkers who face cancer. At Relay, people understand the frustrations and joys of being a caregiver, since the effects of cancer reach far beyond just the person diagnosed. This organization is like no other in doing everything they can for cancer peeps like me, as well as funding vital research that influences how we diagnose and treat cancer. Mostly though, there are research labs all over the country, who have received funding from ACS, and some day, one of those will find a CURE. I will have more to tell you about RELAY SUMMIT and my experience there, but today I just wanted to share with you all about Relay and more about where all your dollars go. Thank you thank you thank you to all the generous friends and family and coworkers and Sisters met through my blog, who supported me in the 2011 Relay. I am so humbled and honored to be a Hero of Hope for 2012, and if any of you local to me are involved in Relay, please let your Event Chair know about me. I would be happy to speak at your events in the coming Relay season. Just go to the Heroes of Hope link in this post, and you can request me online! If your group, church or organization is interested in having me speak, you may also request me through the Hero of Hope program. It's not just for ACS people, anyone may request a "hero" to speak, and I'm telling you, these people are absolutely incredible, funny and inspirational with a capital I. They are UH MAZE ING!!!!!!!!!!!!!!!!! 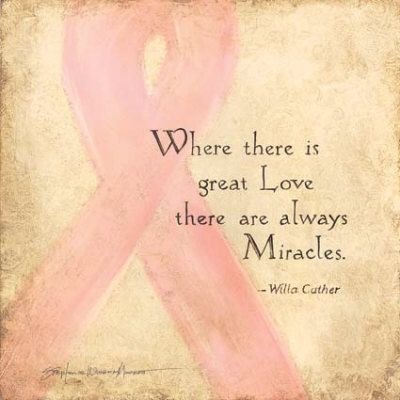 I am so blessed to have this opportunity to pay forward all the love and support, encouragement and comfort that came to me on my cancer journey. Oh, one more important thang. 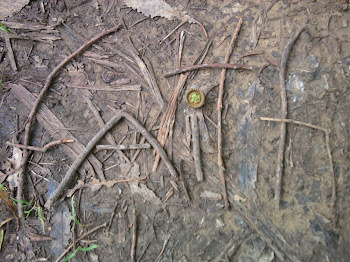 Thank you thank you Dear Reader for all your love and support and presence here on my blog all about my cancer journey and finding the sacred in my ordinary. I am just shy of 14,000 visits to my blog since I started it on Mother's Day 2010, a month after my diagnosis. Wow. Peace to all who come here. Thank you. Congratulations on becoming a Hero of Hope! Your story will reach, inspire and save more people than you'll ever realize. Thank you for the incredible work you are doing. I deeply appreciate what it has and continues to do for my family. If you need any help, let me know.